One of my slow burning adventures in Healing Mother Earth has been my Animal Intuitive Work with the Wildlife. 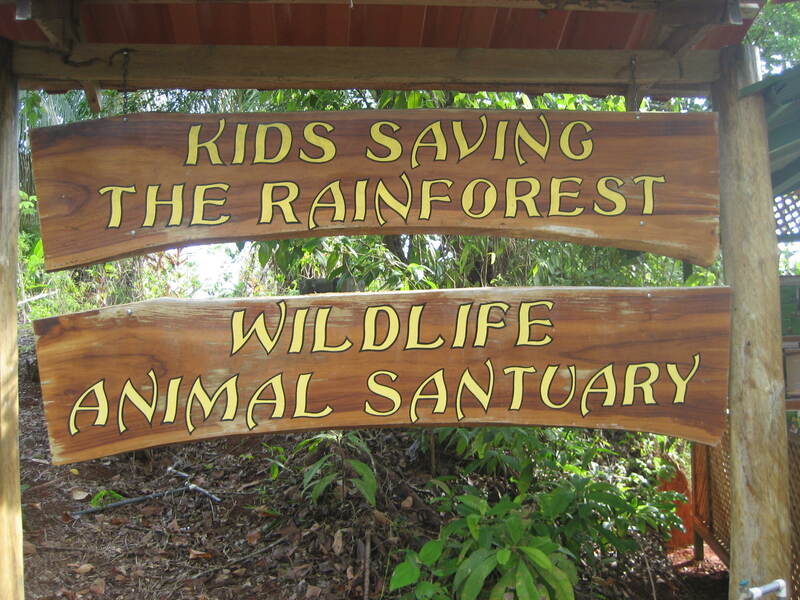 I’ve spent the last five years with the amazing crew of Kids Saving the Rainforest. I came to Costa Rica to work with Nature/Animals and it’s been 8 years coming. Since May of last month I have been to the Blue Banyon Inn, home of the KSTR Sanctuary, twice and looking forward upon my return this next month for another Healing from the Wild. The goal is one visit a month! I continue to work with Tonka and Goobie for the past few years, yet, my newest furry companions are Georgia and Darwin. Georgia (white faced monkey) broke my heart in two while Darwin (spider monkey) charmed my soul! Georgia, like many other creatures of the wild, is misunderstood! I received a report from the President of KSTR, Jennifer Rice, stating that Georgia has calmed down tremendously since my two visits with her this past month. I’m not going to change Georgia. I do believe, Georgia, will most likely change me into a better human being. Somehow, like our primal ancestors, I believe Georgia has a purpose at KSTR. For sure, the wounds of being in captivity so brutally, may leave each guest who come to the Blue Banyon, questioning our relationship with our Wildlife. Darwin, on the other hand, is happy, lovable and quit the Casanova. He lives with Nina, a 22 year old retired circus monkey, who has an amputated hand and will never preform again. Like the rest of the animals in the Sanctuary, the mass majority will never be released into their natural habitat. Aren’t we all (human beings) in captivity, as well? My time with the Sanctuary and working with our Primal Ancestors, I believe, will lead me to more intuitive knowledge Excited to see what the future has in store for me while working with our jungle (cell) mates! More will be revealed– or not? However it shall be I do trust that my time at KSTR Sanctuary is going to be a whole lot of fun! I would even go as far to say, “A Barrel of (Rainforest) Monkeys!! Here are a few short video’s for your enjoyment! Stay tuned in and come back for more updates from the Monkey Whisperer and the KSTR Sanctuary!